Is a Pokémon lost, missing, or acting strange? Ash Ketchum, Pokémon P.I., is on the case. 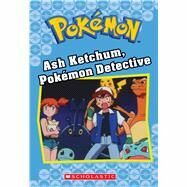 With the help of his friends and trusty sidekick, Pikachu, Ash must solve mysteries involving spooky Pokémon like Hoothoot, Spinarak, and Stantler.